I don’t know about your grocery store, but many of our grocery stores have potted plants for sale. One that does it best is Kroger. They seem to pick all of my favorites and place them right by the door so I won’t miss them. This year I avoided gorgeous lavender plants, tall, fragrant phlox, a stunning butterfly bush or two, and others … But, the one I just couldn’t pass up was the Carefree Wonder rose. It was in full bloom, had a sweet fragrance and promised disease resistance and even shade tolerance. What rose gardener could pass that one by! Actually, I did pass it by but when I mentioned it to Mr. G, he turned around and went back and bought it for me. Who wouldn’t love a man like that! Carefree Wonder … being wonderful! As soon as I planted it, we went into drought mode. Actually I don’t think it has rained since I planted it. And, it is planted in an area I don’t water very often. 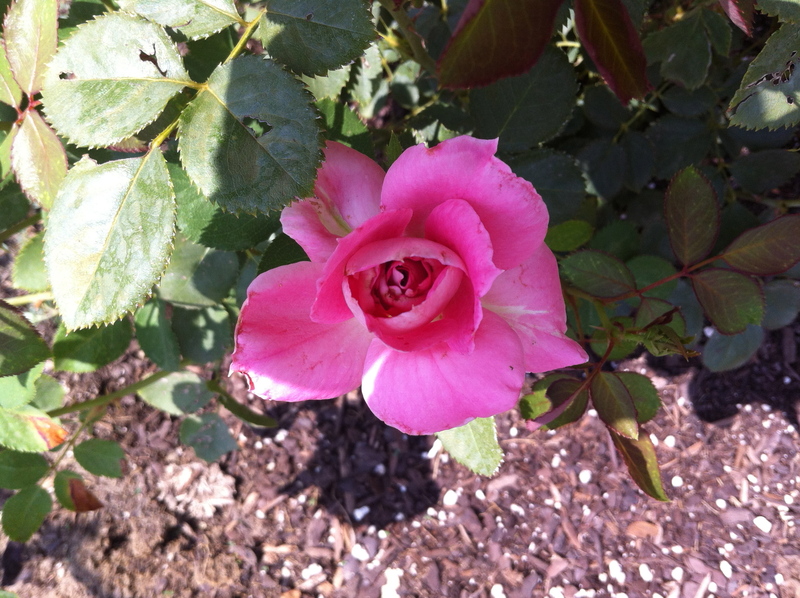 Today it became my favorite rose (for now) when I walked by it and it had 2 beautiful blooms. What a trooper! Here are the facts about Carefree Wonder…. Blooms in waves throughout the summer. Next year it will be a show stopper I am sure! Do you grow this rose? Any tips? What a great tribute to this rose and to Mr. G. He is very sweet! 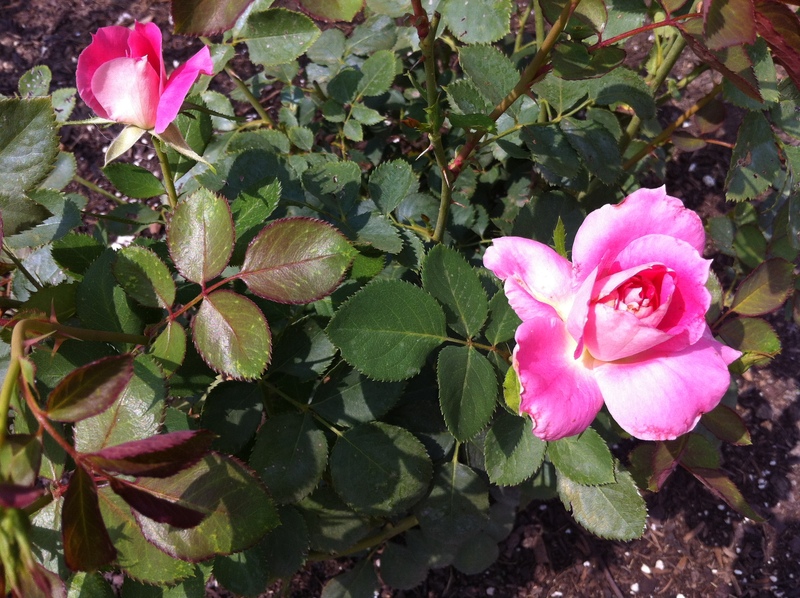 It’s good to have roses that are drought tolerant for sure. I loved this post! Thanks Susan! With all this heat and drought we have to pay attention to plants that can “beat the heat.” Glad you stopped by! Your rose looks so pretty! I rarely go to stores that have plants outside for sale. Usually they are hedge type plants that I don’t need. If they had roses, I would definitely be tempted! How nice that your husband decided you needed this one. He is a gem for sure!